The Cafe and Restaurant WordPress theme is a superb way for you to build a solid web based business in the food catering sector. 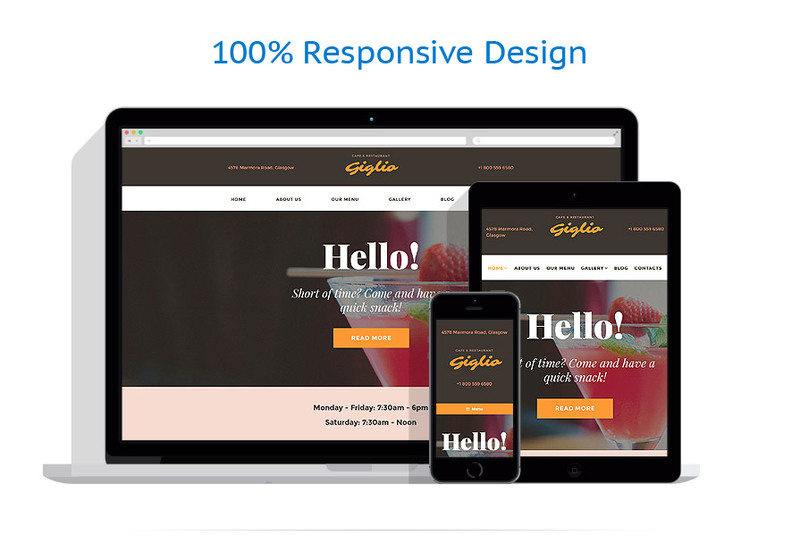 Any kind of bistro or diner may gain advantage from this magnificent WordPress layout. The options include a fully responsive layout, a wonderfully effortless to run a site with admin section, innovative and innovative design and many more impressive features. Examine them all within the live demonstration. This cafe WP theme provides drag-and-drop content management, which is an ideal option for non-tech savvies. Tiled imagery, readable typography, and mild palette make this design a user-friendly solution. To draw people in, you can show the best testimonials right on the front page. They are arranged in two columns and complemented with authors' photos. To build closer relations with customers, there is a newsletter signup form. It enables them to subscribe to your mailing list only with a single click. Visuals of the Bootstrap-powered theme are both responsive and retina-ready, that's why it ensures an ideal experience for users of different devices. This theme is intended for cafe, restaurant, food, drink, gifts, fashion, and beauty sites.